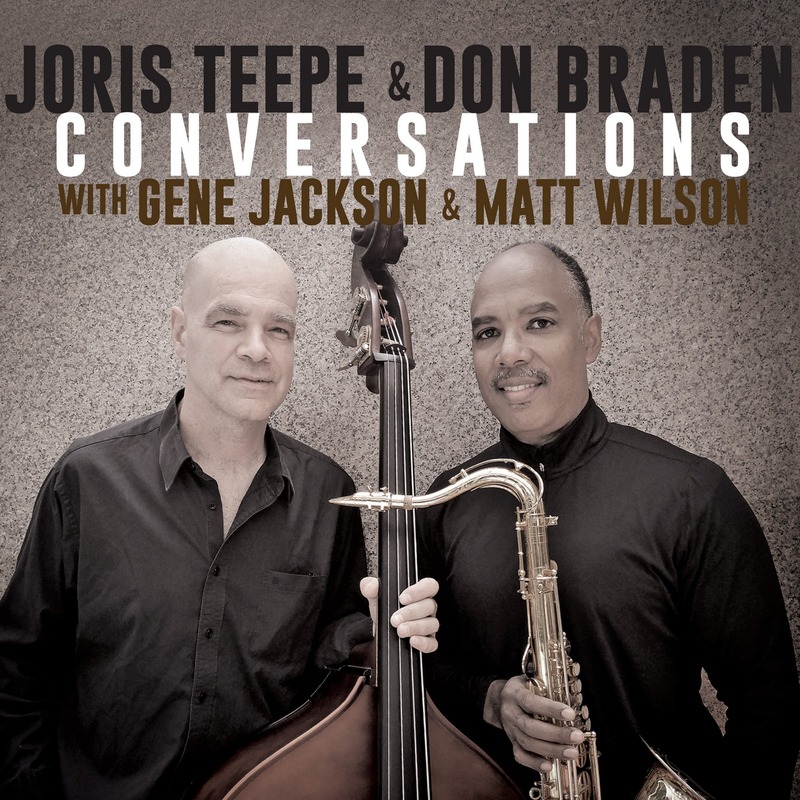 Clearly sailing on the same waters, bassist Joris Teepe and saxophonist Don Braden, who first met in 1992 at a session in NYC and discovered many compatibilities in their musical processes, converse with prodigious fluency and articulated precision on their new album, Conversations. Following up the previous Pay As You Earn, the co-leaders dug both originals and jazz classics in a gratifying way. Seven of the nine chord-less tunes feature whether Gene Jackson or Matt Wilson on drums, who help to elevate the rhythmic flux and push the music forward. Chick Corea’s “Humpty Dumpty” arrives stylishly packed with radiant energy and brings its author’s compositional wittiness, but the truly great moment of the record happens with Elvin Jones’ “Three Card Molly”, compellingly arranged by drummer Gene Jackson, who also excels in his performance by serving up elegant beats and instinctive flurries. Everything starts with Teepe’s nuanced bass pedal, which invites Braden to expressively state the main melody with pragmatic self-assurance. The melodic and rhythmic ideas rush through the soloists’ raw tones in a sort of edgy tightrope walk between postmodern and traditional post-bop. A comparable approach is adopted in Braden’s original, “Eddieish”, a groovy piece that sometimes seems to implore to be subjected to further Latin manipulation. Another extremely likable piece is Mingus’ elegiac “Goodbye Pork Pie Hat” whose melody is equally dished out by Teepe and Braden. This is the first of three duets that include Kurt Weill’s “This Is New” and the closing tune, “We Take No Prisoners”, wrote by the hyperactive Teepe and embellished with Braden’s transient ascendant/descendant melodic movements. Shorter’s “Footprints” was set up with a completely different tempo, gaining a new perspective and contrasting with Gershwin’s “Our Love Is Here To Stay”, which doesn’t get much far from what was expected. Even though, Wilson’s creative brushwork, first accentuated by hi-hat only and posteriorly adding a ride cymbal drive, gives it that special touch. The assorted song selection is an asset and over the course of these beneficial conversations listeners can be certain to find admirable moments to indulge in.